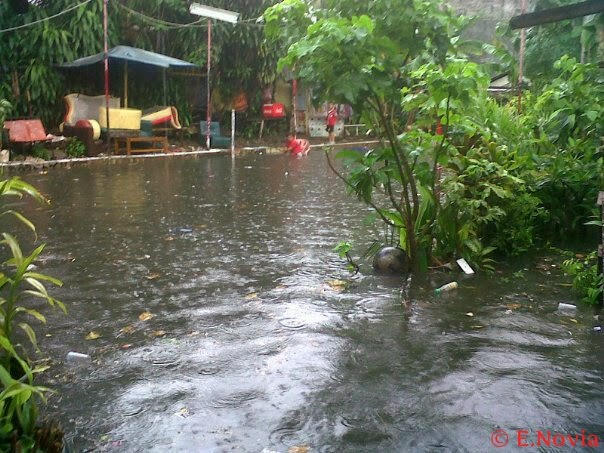 Incessant rain hit the capital overnight makes flooding in Jakarta. My home area is one of flooded. Thanks God, the floodwater isn't up to my home. 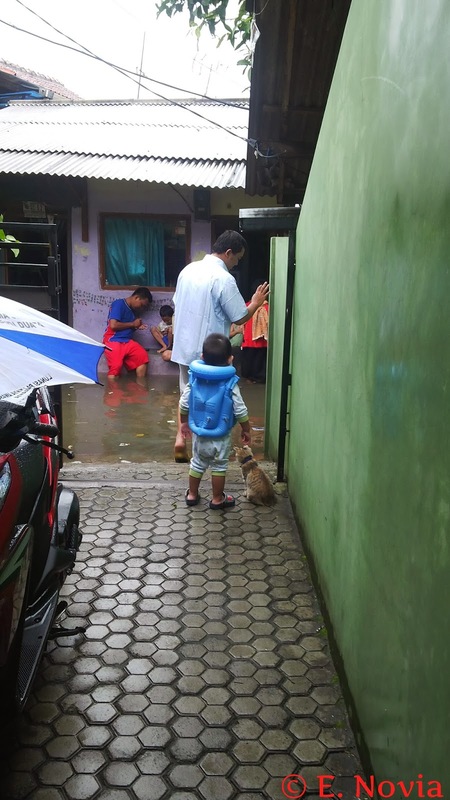 Arfan (my child) wants swim in flood, so he wears life vest jacket. Musim jadi ga jelas. Harusnya sih udah musim panas. 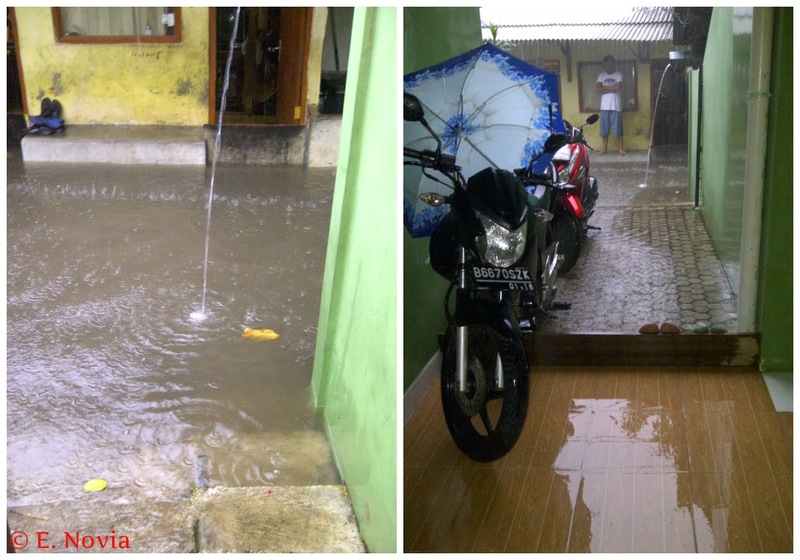 Duh, moga2 ga banjir lagi ya mba Novi :(. emang banjir juga rumahnya, Mak Lid? Jadi ikutan sedih mb novie, tapi sekarang uda surut belum? Flooding will occur every year. This kind of disasters would be very inconvenient for the residents of Jakarta. Integrated measures required to reduce its impact. Primarily public awareness to dispose trash properly. Hope you keep being strong and patient. bahkan kucingnya juga ikut sedih..difoto itu..